Rent a 4-star Villa with family or friends! Villa VIII has a heated private pool, four bedrooms with three bathrooms, a spacious kitchen and a stylish living room. 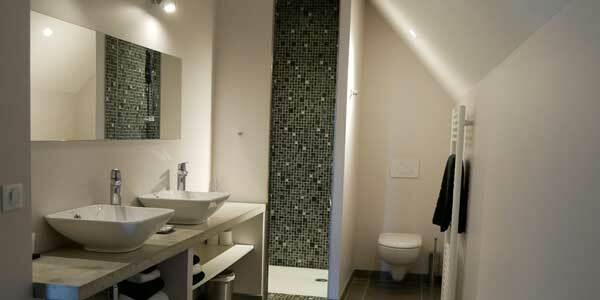 The villa offers more than enough space to accommodate 8 persons. At some 100m from the main building, all hotel and restaurant services can be extended to your holiday home. 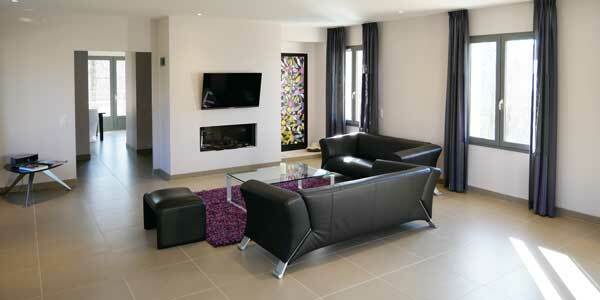 We also offer villas that can accommodate 6 people. 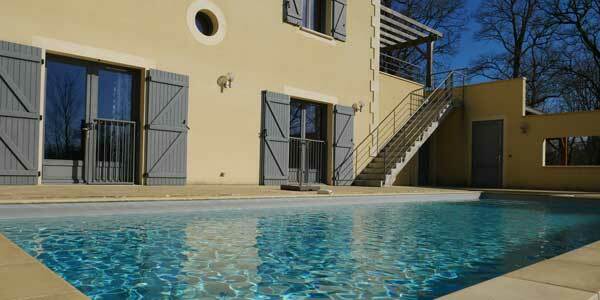 Our villas close to Bergerac in the Dordogne France are the perfect place to spend your family holidays or have a restful break with friends. At the border of our 9-holes golfcourse, the villa reflects the luxurious and charming design Château les Merles stands for. Large villa with 4 bedrooms and 3 bathrooms. Spacious living and a fully equipped kitchen. Heated pool and private garden.